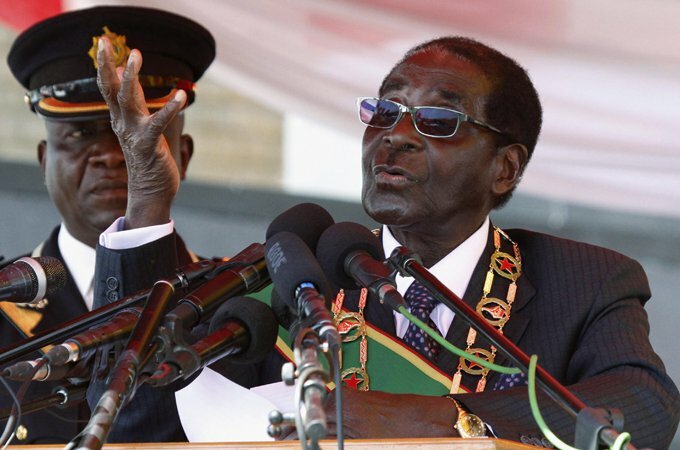 A former aide of ousted president Robert Mugabe has spilled the beans from his foreign base, saying Zanu-PF has serious divisions that do not always play out in public. Lawrence Kamwi, who served as head of former first lady Grace Mugabe's office and principal private secretary to the president also insinuated that Mugabe's lieutenants used to make decisions behind his back. In two revealing publications, published by a United Kingdom-based online publication, Kamwi, said there were a lot of cover-ups over the past years on what was really transpiring within the corridors of power. "Truth must be accorded its place. My previous instalment was summarised as portraying president Mugabe as a man held hostage, a man who was not acting alone. That is a fair comment. "However, I wish to add that my experiences inside government and my contact with Zanu-PF revealed desperate attempts to hold a fragmenting or fragmented edifice together. By day, elaborate, subtle and sly efforts to choreograph(ed) unity and cohesion in Zanu-PF and a singleness of purpose in government seemed to work. Behind the scenes, a different act was playing out," Kamwi said. "At one time, I would join colleagues in the airport VIP lounge while waiting for either the president's arrival from or departure for a trip. That was until then CDF (Commander Defence Forces) Constantino Chiwenga accosted me, and asked me to tell the bosses to leave the farm in Banket, Mashonaland West Province. "I did not know about the farm. On our next encounter, the CDF asked then police commissioner-general, Augustine Chihuri, to brief me on the farm. In short, the story was ‘the Mugabes must leave the (High Court) Judge to farm in peace; after all he is one of the few who remains loyal to the party'," he said. "The failure to speak truthfully about the country's problems, to deal and work honestly, has immensely contributed to the plague of mistrust that is synonymous with Zimbabwe's politics. ‘communication should not be a crisis management or reputational repair tool'. Can Zimbabwe's politicians rise above self-interest, myopia and incompetent behavioural responses?" he questioned. In apparent reference to the Mnangagwa-led administration's intention to be viewed as a new dispensation, Kamwi said the problems the country is facing date back to the Mugabe era, where allegations of State repression were rampant and economic meltdown characterised the former president's 37 years in power. "It is easy to speak about ‘Mugabe's days of terror, repression, economic meltdown, selfish inward looking, international isolation, unprecedented corruption and gross incompetence'. But he did not operate on his own. Further, people have overestimated his power. I worked with the man. No, he was not a saint. However, in similar fashion, I do not accept the exaggeration of his sins," he said. He also spoke about the military's escapades in the diamond mining project. "On another day, Mnangagwa and the CDF held an extraordinarily long meeting with the president. I only got to know how acrimonious the meeting was when Mrs Mugabe called. The two had allegedly held the president hostage in his office for four hours. "At issue was the subject of diamond mining, where the defence forces were unilaterally expanding the size of their concession. In this expansion, they had also taken over a "protected" concession. The former first lady claimed they refused to listen to the president's reasons for the existence of the disputed mining claim," he said. He also served as head of the first lady's office and principal private secretary to the president. After his wife lost a struggle with pulmonary embolism in 2006, he applied for early retirement to become a full-time single parent and an aspiring writer.